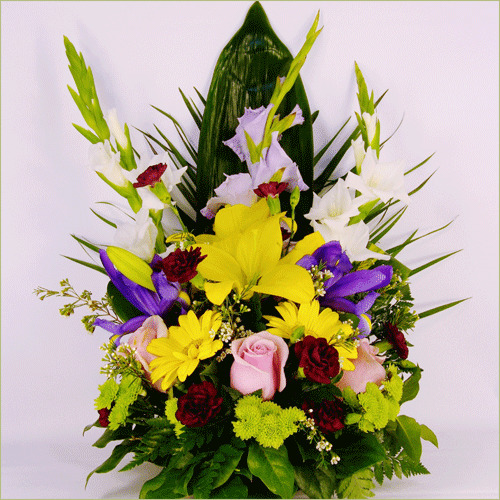 Brighten the room with lilies, daisies, irises, gladiolus, Kermit button pompons and roses. Standard Display includes 13 stems. Deluxe Display includes 16 stems. Premium Display includes 19 stems.